West Virginia, 1895. A deadly dry spell has left the earth parched and souls desperate. Crops are failing. Cities are starving. A missing newspaper man doesn't account for much in times so terrible, except to the twelve-year-old son he left behind. When Elliot Sweeney discovers the search for his father has been called off, he boards a train alone to find him. His quest leads Elliot into the depths of an abandoned mine, with a peculiar pocket watch, a blind burro, and a gutsy girl at his side. He discovers a world he never dreamed of, even in his worst nightmares, and lands smack in the middle of a war between two kingdoms. Monstrous insects, smiling villains, and dark riddles are everywhere. Deciding who to trust may prove to be his greatest challenge, while the fate of the world above hangs on Elliot's choice. The author lives with her family, two cats, and a large dog in a 100-year-old house in Houston, TX. She is a long-time member of SCBWI, The Houston Writer's Guild. She is a master gardener with an extensive and fairly useless bug collection. 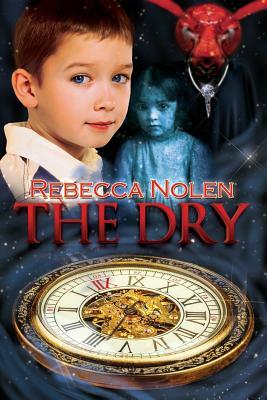 She writes adult books under the name R. L. Nolen.